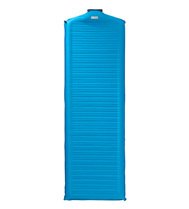 When you’re looking at camping mattresses, quality pads will list a packed size, materials, weight, thickness and, perhaps the most important spec, the warmth of the pad. The warmth of a pad is listed in one of two ways: R-value or a suggested degree rating. So, what’s the difference? First things first, why does this matter? Well, it matters to us. 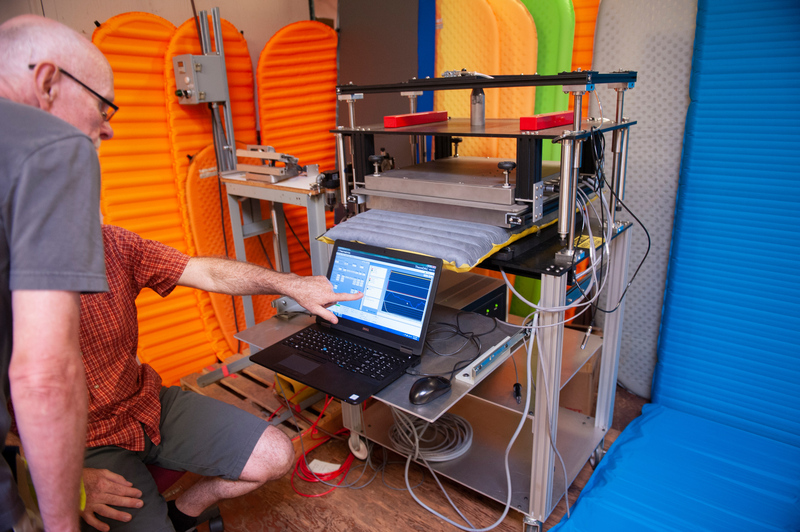 We started with the promise to provide a better night’s rest outside and which makes figuring out the best and most accurate way of measuring a pad’s thermal resistance part of our DNA. 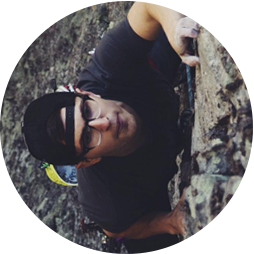 All of our gear goes through rigorous testing to guarantee performance at camp. It matters to you because waking up refreshed and ready for the day’s adventure is important to anyone spending time in the backcountry. If you spend the night letting the cold ground sap your precious calories, you’ll be breaking camp feeling sluggish and tired. We make gear with the singular goal to help you rest better, because, when you rest better, you play better. 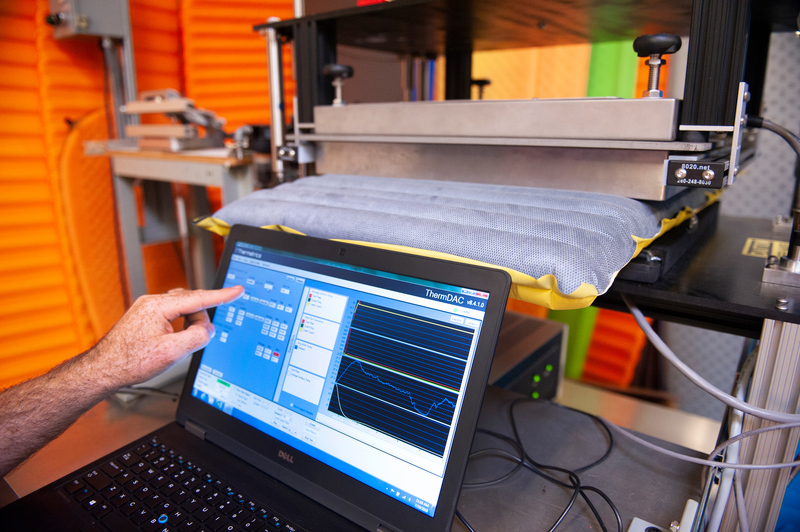 To ensure we stay on the cutting edge of thermal science and engineering, we work with a neighboring company called Thermetrics, an engineering group that, in their words, leads the industry in “thermal comfort testing solutions that deliver advanced performance, innovative design and leading-edge features.” They build the R-value testers we use to design, test and modify our sleeping pads. These devices take two large plates and place the pad in between. One plate is kept at a steady temperature with an electrical current. 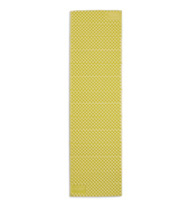 A pad that offers a lot of insulation will require less energy to keep the plate at a steady temperature. The less energy used to maintain the warmth of the plate, the higher the R-value the pad receives. 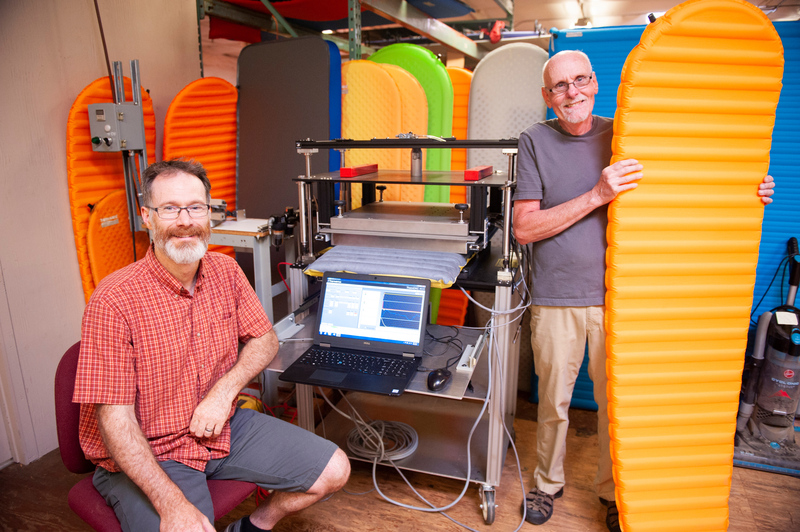 When designing our award-winning sleeping pads, we thoroughly test our products in the field and in our Seattle factory with the Thermetrics machines. This equipment gives us crucial insights while designing gear, allowing us to consider and test the most minute details of our products and make design decisions that lead to better performing gear. Our products are some of the most thermally efficient pads available thanks to our innovation and use of these devices. When putting other pads on the market through our testing standards, we found their ratings to be “optimistic” both in the lab and out in the field. Protection from the cold is crucial to resting better, but the insulation that your pad provides is very different than the warmth your sleeping bag creates. A sleeping bag uses a fill to keep cold air out and “dead air” circulating while heating up next to your body. However, your pad works differently. Your pad is tasked with creating thermal resistance against the cold, hard ground. The massive amount of variables like humidity, surface and your own comfort preferences make it almost impossible to assign a temperature rating that applies to everyone. Sleeping bags use an EN rating system that uses certain constants to suggest a comfort and risk range, which was designed to help users compare sleeping bags from different brands. Since no standard exists for pads, temperature ratings between different pads are inherently inconsistent. This is precisely why we use R-value to test our pads and ensure campers can accurately know and compare the thermal resistance of our pads before hitting the trail. Now that you’ve got a better understanding the differences between R-value and temperature ratings, how do you choose the right pad for you? For temperature ratings, it’s hard to say. There are no constants or standards to help you know what temperature is right for you. If you’re a cold sleeper and plan on sleeping at altitude atop snow, it’s hard to know what temperature will provide you with the correct insulation, especially if it was “rated” for insulation on a dirt surface at sea level. So, How Do I Know Which Pad Is Warmer? Well, technically, you don’t know for sure. Since temperature ratings don’t have an agreed upon test standard, what one company labels a “20-degree” pad might be vastly different from another company’s rating. This makes R-value the most consistent and accurate way to measure a pad’s insulation. The same thing happens when comparing a temperature-rated pad to one of our pads. There’s no data to show a correlation to how the two ratings compare. However, since R-value is a measurement of the insulative property or construction of the pad, making it a much more consistent and comparable value. Our R-value is tested and retested and our final numbers are made with your comfort in mind. Check out the table to get an idea of what R-value we recommend in different conditions. Preventing heat loss is possibly the most important purpose of your pad. Keeping you comfortable means keeping you warm and sleeping soundly. This means that you are waking up refreshed and ready for the day’s adventure. Our knowledge and understanding of R-value has led us to make some of the most thermally efficient mattresses and the best warmth-to-weight ratios available. 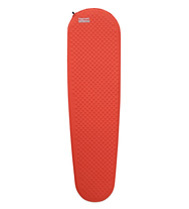 Check out our full line of sleeping pads at Therm-a-Rest.com and start camping with confidence. To learn more about R-value, check out our post on “R-value: The meaning behind the number“.